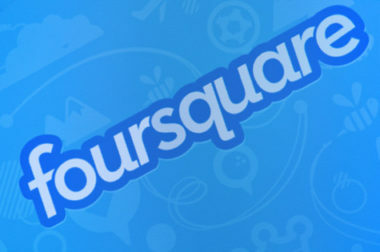 In an effort to start generating revenue through the location-based social network, Foursquare announced plans to start offering personalized coupons through a redesigned app this summer. The app will enable merchants to pay for the highlighted placement of personalized local offers in order to distinguish their deals from the competitions’. The Wall Street Journal and CNNMoney.com reported on this new system of special billing. Foursquare has recently taken small steps to prepare merchants to pay for their placement, such as charging $10 to verify their businesses online rather than by mail. The company hopes such minor changes and charges will ease merchants into accepting the new network pricing structure. All along, the company has been open about its desire to eventually develop revenue-generating opportunities. While many consider Foursquare to be primarily concerned with helping people find places, the network is now emphasizing its focus on helping merchants find customers. “Instead of serving up places we think you might be interested in, we can do the same things for businesses, and [tell them] these are the folks that are most likely to come here, based upon their check-in habits, based upon the places they’ve been to and their friends have been,” said Dennis Crowley, CEO and co-founder of Foursquare. With an audience of 20 million people currently using the app for local check-in and increasingly using it to discover new places nearby, Foursquare is poised to turn itself into a highly profitable platform. To discover the latest ways to use location-based social networks to increase sales and ROI, contact MDG Advertising today at 561-338-7797 or visit mdgadvertising.com.